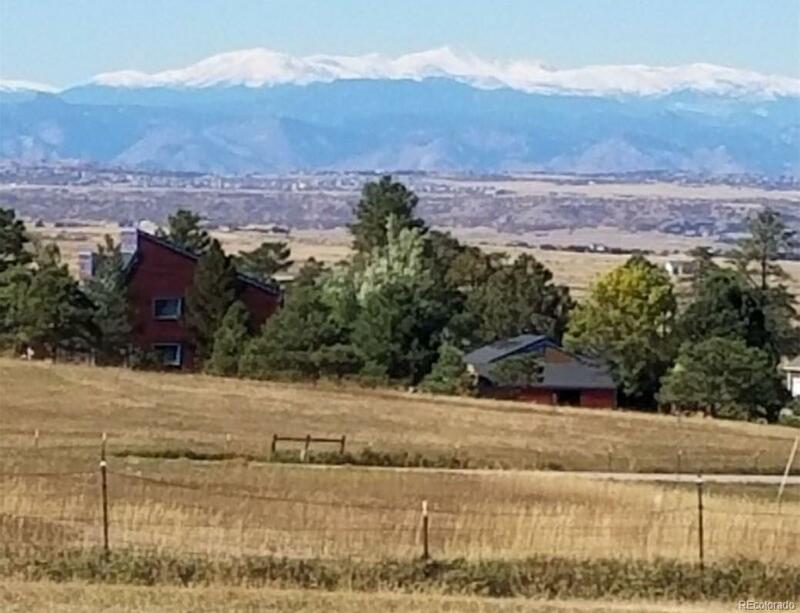 Close in country living in coveted Franktown location. One level living with unobstructed meadow and mountain views. This home is mostly wheelchair accessible and ready for your personal touches. Boasting an Upper Dawson Aquifer well water and private septic... so no water or sewer bills! Animal ready with western dowell and foal fencing, a nicely sized, smaller animal barn, turnout, grazing pasture and dog run. The side yard offers a fire pit and a hot tub ready pad and beautiful pines. Just minutes to Parker, Elizabeth and Castle Rock, with Douglas County Schools and no hoa. Bring your toys, kids and animals and get ready to be embraced by this walk and ride friendly neighborhood!